Luisa Ortega, in Costa Rica, says the government of Nicolas Marudo has tried to hire people to kill her. 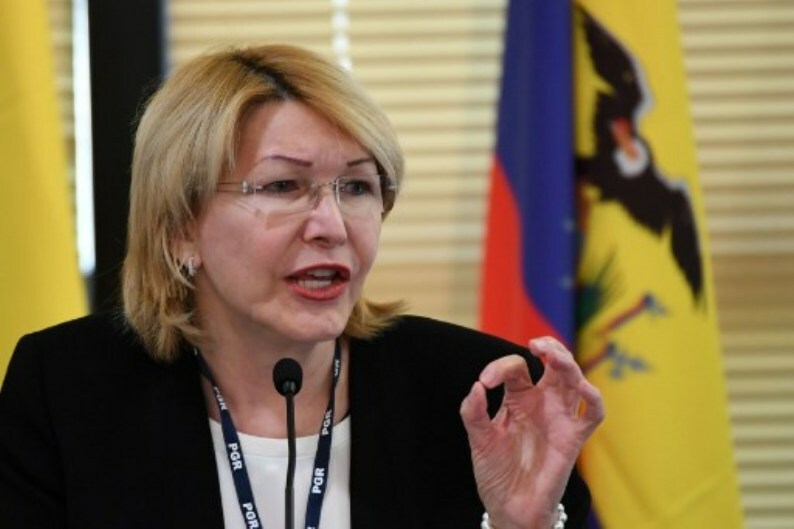 Luisa Ortega Diaz, the woman ousted as chief prosecutor by Venezuela’s constituent assembly, was in Costa Rica to file a complaint with the Inter-American Human Rights Commission against the government of President Nicolas Maduro. Luisa Ortega in a press conference Monday in Costa Rica held at the Ministerio Publico. Ortega arrived on Monday, at 9:42 am, met personally at the Juan Santamaria (San Jose) airport by Costa Rica’s Fiscal General (Chief Prosecutor), Jorge Chavarria. At noon, Ortega held a press conference at the Ministerio Publico, denouncing, in large part, the violation of human rights that Venezuelans live daily and even more so after the National Constituent Assembly was formed. “I thank the Costa Rican people for the hospitality and for the prosecutor Jorge Chavarría for the solidarity…we saw the need to leave Venezuela after the Public Ministry was assaulted by 300 soldiers of the Venezuelan guard, in addition to a group of government police,” Ortega said. “The government of Nicolás threw me out,” she said. 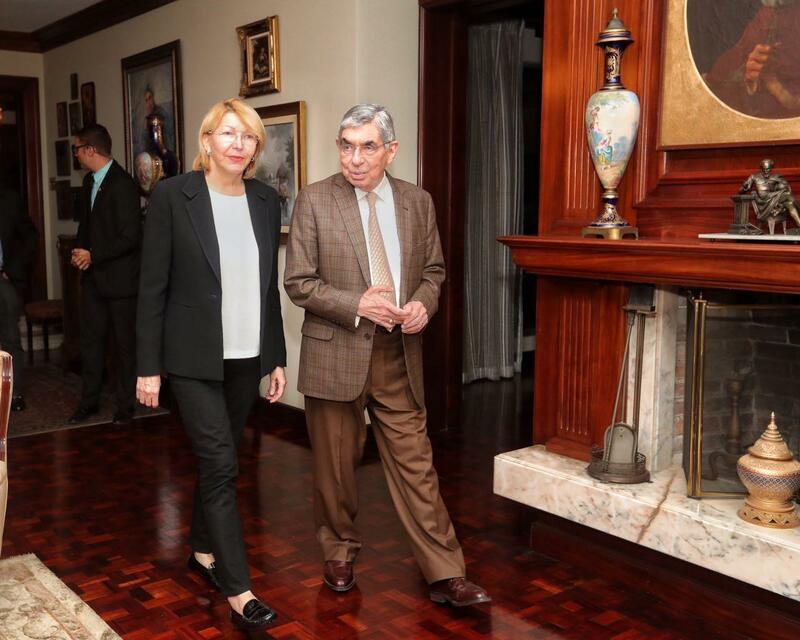 Later in the day, the 59-year-old chavista who rebelled against Venezuela president Nicolas Maduro fory decisions against the Parliament of opposition majority, whose functions were assumed by the Constituent Assembly, met with former Costa Rican president and Nobel Prize winner for Peace, Oscar Arias. Ortega, said that her presence in Costa Rica is because this small land carries the title of respecting human rights worldwide, which represents a good opportunity for her cause. “The right to defense does not exist in Venezuela and unless an agency intervenes against the violations. We have undertaken a crusade in the continent because in Venezuela justice cannot be done,” she added. “My country suffers from lack of food and medicine. There are many health problems. Our compatriots are eating from the garbage and we suffer a systematic violation of human rights,” said Ortega. “I have information that the persecution against me continues, and that the government has hired assassins to kill me,” she said. “It is clear that with the election of the National Constituent Assembly the Venezuelan Constitution has been violated,” said the former president. Ortega said that even though she is still outside the country, she is still the prosecutor, and will continue to denounce what is happening in her country, where corruption, human rights violations and the loss of the rule of law are evident. “Whoever is in charge of the Public Prosecutor’s Office was designated by an illegitimate National Constituent Assembly, it is a usurper,” said Ortega. She said on Monday that the Venezuelan government was committing “systematic” rights abuses, including illegal detentions and torture. Last weeek, Ortega promised to deliver evidence showing that Nicolas Maduro and senior Venezuelan administration officials are involved in corruption. “There are a lot of officials involved in the corruption case with Odebrecht,” she said on Monday, referring to the giant Brazilian construction firm that has acknowledged paying bribes to officials in Latin America to get contracts.